Don’t you love this back porch by designer Cindy Mihuc that was recently featured on House of Turquoise? It’s gorgeous. Everything on this porch is purposeful, from the porch swing to the storage bucket drink station. 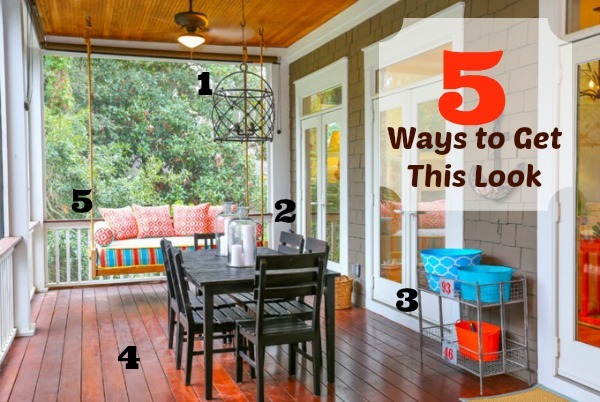 It’s totally possible to make a comfortable, useable outdoor space like this one–even if you don’t have an actual back porch. Check out the tutorials and ideas I found online to see five ways that you can get this look for less.